The mall operator offered 1.9 billion shares at a price 40,600 Vietnamese dong per share, at the top end of the IPO’s pricing range of 37,000 dong to 40,600 dong per share. The share sale raised $706 million, in what is slated to be Vietnam’s biggest equity offering till date. The Warburg Pincus-owned fund WP Investments III, Credit Suisse and other individual shareholders sold their shares through the IPO. 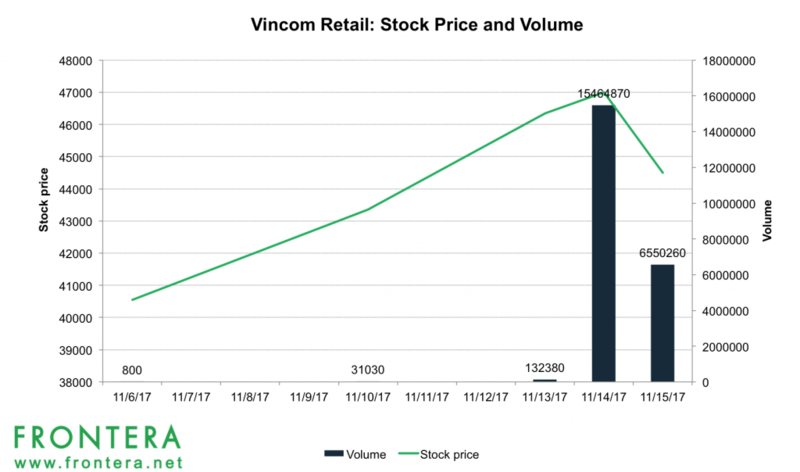 Vingroup , the largest shareholder in Vincom Retail, did not sell any shares. Foreign investors, including the Singapore sovereign wealth fund GIC, acquired 415 million shares equivalent to 21.8% of the shares offered in the IPO. Post the public issue, Vingroup will remain Vincom’s biggest shareholder with 36% stake. The stock, however, listed slightly lower than its issue price at 40,550 dong per share, valuing the company at $3.4 billion. In the following five days of trade (as of November 15), shares of the company have gained nearly 10% from their listed price of VND 40,550. The company’s market value has subsequently increased to $3.7 billion. 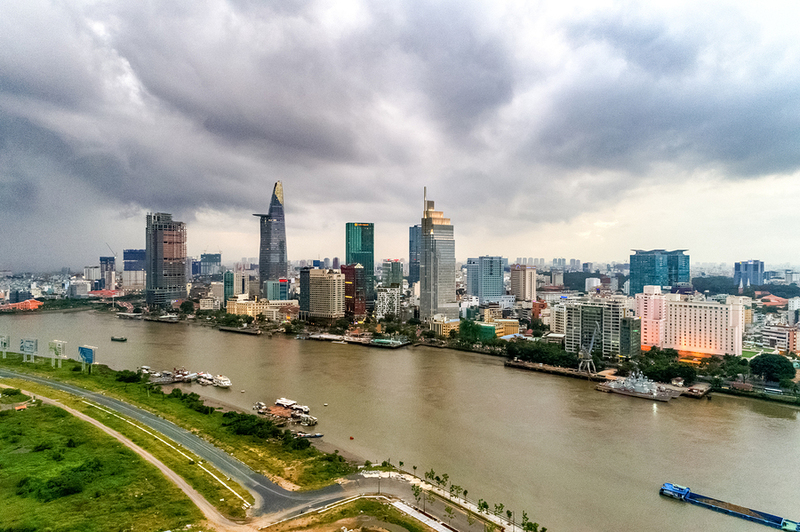 Despite the lackluster debut, analysts opine that the success of this IPO will pave the way for other Vietnamese firms to seek listings and the government to pursue its privatization targets. 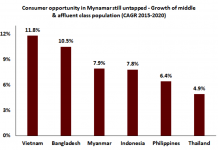 “Foreign investors are clearly showing strong interest in the market in Vietnam,” said Nguyen Thanh Lam at Maybank Kim Eng Securities. Vincom Retail, established in 2013 started out with three malls in Vietnam. Currently, the company operates and owns 41 malls across 22 cities throughout the country with a gross retail floor area exceeding 1.1 million sq. meters. 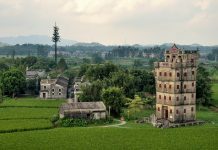 They now account for 60% of retail space in Hanoi and Ho Chi Minh City, according to research by Colliers International. The company plans to expand to 200 malls by the year 2021. In 2016, the company reported revenues of $277 million (6.3 trillion dong) and net profits of $105 million (2.4 trillion dong). The company’s revenues grew at a CAGR of 81% between 2014 to 2016 as per reports by Vietnamese research firm Saigon Securities. However, in 2017, the company forecasts revenues to decline 28% to $202 million (4.6 trillion dong) and net profits to depreciate 13% to $92 million (2.1 trillion dong). The company attributes this decline to the renewal of leases and ongoing construction of several malls. 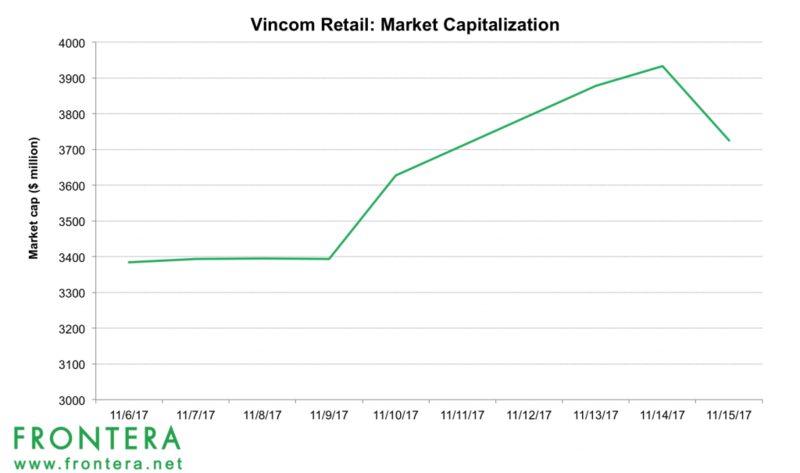 For 2018, Vincom Retail targets revenue growth of 75% and profit growth of 55%.